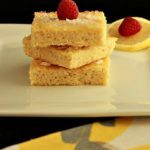 New and improved “Coconut Lemon Muffin Bars” are an easy, lightly sweet, lemony, anytime treat. They are the same as before, but I added a lovely, lemon coconut frosting and little more lemon flavor. My daughter said it needed more lemon. She critiques my food like she’s a judge on Top Chef, lol. I think you will enjoyed the improved version even more than the original. Also added a better photo, yay. I still struggle daily with photography. Why did I never learn to use a camera properly in my life time? I was sure missing out on some creative, but complicated and tedious fun. 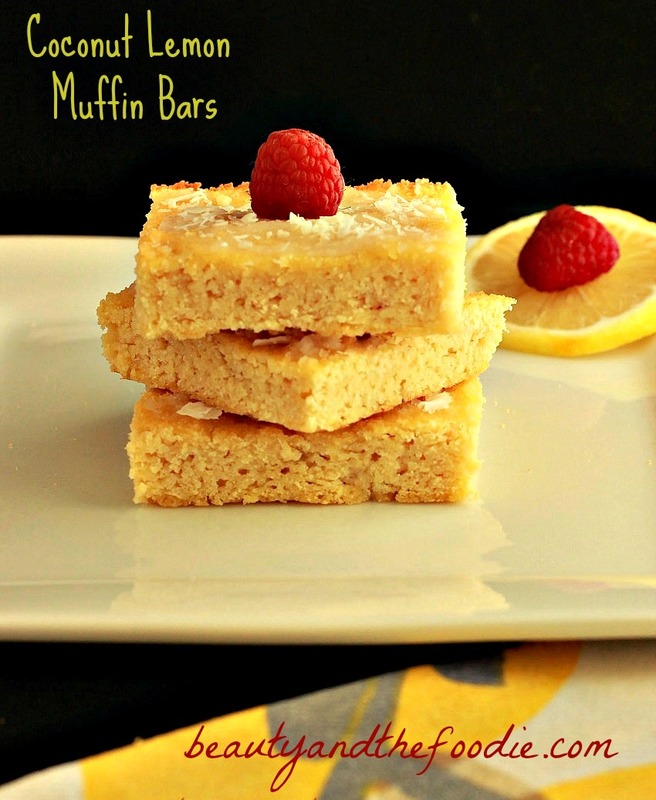 These muffin bars are great with coffee or tea. 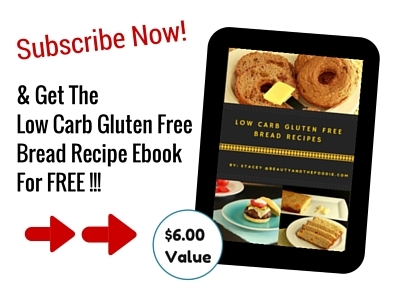 Grain free, paleo, and has low carb options too. Is there any hobby that you never learned, but would like to take on now? 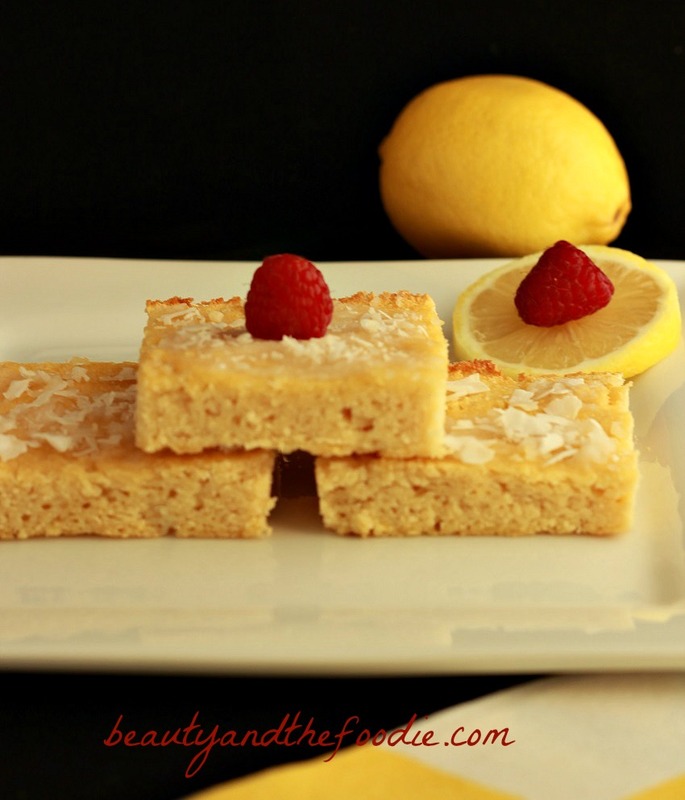 A light and Lemony, coconut muffin bar with lemon coconut frosting. 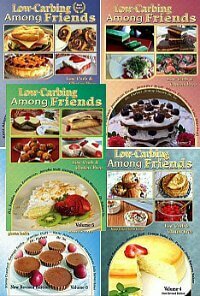 Includes a paleo and low carb version. 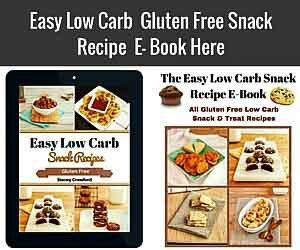 Sweetener of Choice: 1/4 cup Maple Syrup for paleo version or 1/2 cup erythritol granulated sweetener+ 15 drops liquid stevia for low carb version. 2 tbsp unsweetened almond or coconut milk. 1 tbsp coconut oil or butter melted. 1/3 tsp organic GF lemon extract or 1 tsp lemon juice. Sweetener of choice: 1 1/4 tsp honey for paleo or 15 drops liquid stevia for low carb. Preheat Oven to 350 F, and grease or oil an 8x8 pan. In a large mixing bowl, beat 2 eggs. Add to mixing bowl: milk of choice, lemon juice, lemon extract, lemon zest, melted coconut oil, and melted coconut butter. Stir, and add in maple syrup or low carb sweetener. Add, and stir in the pre-mixed baking soda-vinegar mixture ( will be fizzy and foamy). Sift in the Coconut four , and stir until clump free and thickened ( should take a couple minutes to thicken). spoon batter into prepared pan, spread around evenly. Bake for 22 to 27 minutes, or until middle is firm. in small mixing bowl combine all frosting ingredients and stir. if too thick add just a dash more milk of choice. spread frosting over the top of bars, garnish with optional raw unsweetened coconut flakes. I just made this but I left out the coconut butter and only used half the oil, plus I didn’t have any lemon oil so that was left out as well. I found the texture of the slice when cooked to be similar to a quiche? As Im trying to eat very low carb, fats and sugar I also left the icing part off as well. I also used 3 scoops of the granular Stevia as sweetener, but next time I make it I could even just use 2 scoops. I found it to be a nice mild lemon taste and something the kids will eat as the lemon isn’t too strong for them to eat. Im wondering how this would go with some added almond meal in it to make it a bit more cakey in texture. Thank you Desiree for trying the recipe. I’m glad it turned out okay with all the substitutions. I made these into muffins today and they turned out great! It made 7 muffins and they were done baking in 15 mins. The icing is amazing! I ate most of it before the muffins were even out of the oven. Hi Linda, Thank you for making the recipe, your kind comments, and letting us know how many regular shaped muffins it makes. You are like me with the icing, lol. I just can’t keep my paws off of it. Hi, I like coconut flour, oil and milk but I cannot stand coconut flakes nor coconut butter…Too “coconuty” for me 🙁 I usually just leave coconut flakes out of most recipes…but what can I substitute for coconut BUTTER ? for example, in the coconut lemon bar muffin ? How about changing it to orange zest, etc? I don’t really like lemon/lime…and what’s the different between using coconut butter and coconut oil? Can I substitute the lemon extract? Yaritza, you could substitute the lemon extract with 2 Tbsp lemon juice or concentrate. Hi Vanisha, Thank you for trying the recipe and commenting. Lime and cardamom sound fantastic! Very creative. because I don’t use baking powder, just baking soda and vinegar, They do not rise as much. But if you can tolerate it, a little baking powder (1/2 tsp) in addition to the baking soda could be added to the batter. I also sometimes cool and refrigerate the cake a little before removing from the pan. This does help make the texture less delicate. These look wonderful. I love the combination of lemon and coconut. Thank you, Carolyn for your kind words! 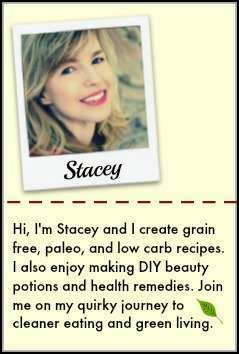 I love your site and all the beyond amazing, drool worthy food you create. You are so talented, and full of fresh ideas. You consistently bring it! It’s truly inspirational. This sounds delicious, want to try it ASAP!! I was wondering if there is a substitute for the coconut butter/ Is it possible to make it? Hello Mia, yes you can make coconut butter in a food processor or a high speed blender. You just add 1 1/2 to 2 Cups dry, unsweetened coconut flakes to the processor and process until it is a butter or liquid consistency. I had to stop and scrape the sides several times, and I added a tiny bit of coconut oil to speed up the process. As my processor is not a high end model. It did take awhile, up to 10 minutes for my old processor. And I had to turn it on and off a lot, so it would not overheat. If you own a high end blender it will process much quicker for you. It is stored in a covered container at room temperature. It can be melted when it gets too hard (happens in colder temperatures). Let me know if you have any questions. Thanks a bunch stacey, I’ll give it a go! Let me know how it goes. I suppose you could leave out the coconut butter, and it would have more lemon flavor and less coconut flavor. Have not tried it, though.